Carpet beetles – you guessed it right; they’re oval shaped bugs and usually found in carpets. Probably the reason behind why they are known as carpet bugs. Many a time we end up confusing carpet bugs for ladybugs because both the tiny insects look similar in many ways. They sport the same distinctive shape of ladybugs as also the spotted dome-shaped shell. The carpet bug has the remarkable ability to break down the keratin protein present in skin and hair particles. This unique ability allows the carpet beetle to feed on the upholstery on our furniture, the clothes we wear, and the carpets we use in our homes. Apart from the damage and nuisance they cause us, the presence of carpet beetles in our homes can lead to allergic reactions like asthma on account of the molted skin that larvae shed. Considering the damage they can cause to our expensive clothes and other fabric-based belongings like rugs, carpets, and upholstery, it pays to know how to recognize the symptoms of carpet beetle infestations in our homes. If you have been lately seeing an unusually large number of ladybugs in the house, pause and take a second look. Confirm if the insects are ladybugs or carpet beetles. 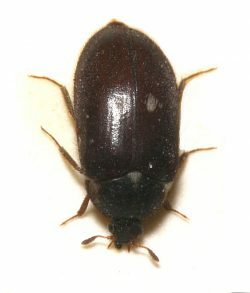 Second, if you notice that your clothes, upholstery or carpets, it’s time to check for the presence of carpet beetles. The presence of discarded or molted skins of the larvae is the final confirmation of carpet beetles in your home. It’s not enough that you just confirm the presence of carpet beetles in your house. It’s crucial to locate their hiding places and target them with precision for effective eradication of the carpet beetles. While you can easily spot the adult carpet beetles, the bulk of the damage is wreaked by the larvae which are nesting in the relative safety offered by the dark spaces behind closed doors, upholstered furniture, beneath carpeting and at the edges of walls and floorings. The female of the species lays its eggs amidst lint clusters so that the young larvae are assured of food in the form of keratin. Once the larvae grow older, they slowly crawl away to settle down on other sources of protein elsewhere in the house. Sometimes an innocuous pile of clothes shed awhile ago may be found hosting a colony of carpet beetles and their larvae. Even the nests of birds and wasps are potential hosts for the larvae. Chemical treatment is considered as the most effective solution for treating the carpet beetle infestation. You can consult the local hardware store for an appropriate residual, chemical pesticide for the purpose. 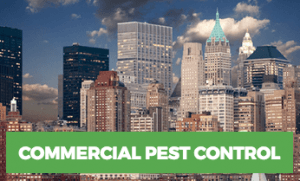 But since the use of chemical-based insecticides is always fraught with danger, it is advisable to consult a professional pest exterminator service in the locality. They will examine the house thoroughly and locate the exact spots where the infestation is present. They will then prescribe the appropriate chemical insecticide, estimate the amount required, purchase it for you and apply it. In short, you will be saving yourself a lot of time and trouble, at a very low cost. 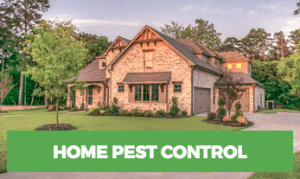 While treating the carpet beetle infestation with chemicals is something that a professional pest exterminator will do for you, prevention of future infestation lies in your hands. This can be achieved by maintaining cleanliness and hygiene inside the home and its surroundings. Regular vacuuming of the rugs, carpets, and upholstery is all that it takes to keep carpet beetles in check. Check below the carpets and inside the dark areas like closets once in a while for the presence of carpet beetles and the larvae. Don’t allow soiled clothing to lie around in piles for days on end as they could end up attracting the larvae. Also, avoid planting shrub species like Spirea and Pyracantha on your premises as they attract carpet beetles looking for food. Related: Bed Bugs or Carpet Beetles?